Investor with emotional intelligence, The amount of information available to investors today is mind-boggling. Not only is there a ridiculous number of opinions and research reports available, but the ability we have to sort through historical market data is something investors from past eras could only dream of. Computing power now allows investors to sift through thousands of pieces of data to look at historical trends, patterns and performance statistics. And back-testing any number of strategies is now easier than ever. Creating the perfect portfolio and risk controls based on past information is the easy part. The hard part comes when you have to actually see that strategy through. You can’t simulate what it feels like to have to be patient and exercise your willpower. A back test doesn’t have to consider what to do when things don’t go as planned. It simply follows the systematic approach outlined by the rules you create. There’s really nothing special about most back-tested strategies aside from the fact that they are disciplined. Simulations are devoid of emotional decision-making. Humans are not. As innovation continues to progress, temperament will only become more important for investors that would like to be successful. There are plenty of intelligent participants in the financial markets, but not nearly enough that focus on their emotional intelligence, which is what truly sets apart the most successful investors from the crowd. Psychologist Daniel Goleman wrote the definitive book on this subject (literally – it’s called Emotional Intelligence) in the mid-1990s. Emotional intelligence is how we manage our emotions, along with our capacity to recognize our own feelings and the feelings of others. 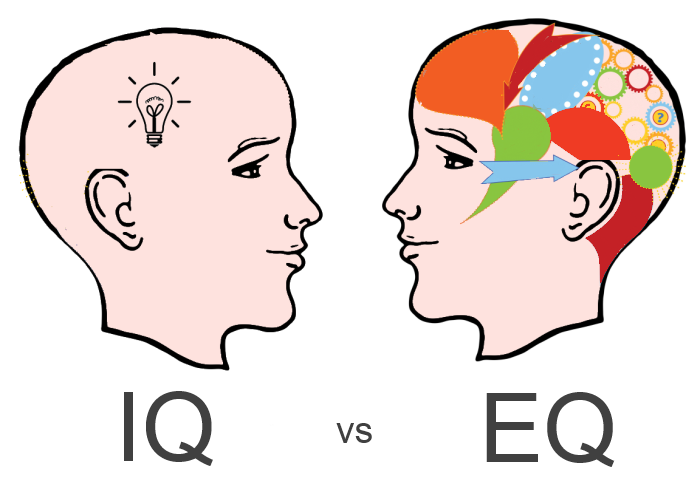 Studies show that emotional intelligence trumps IQ by a ratio of two-to-one when determining successful people. In the book, Goleman describes five basic competencies for emotional intelligence. Each one relates to investing in some way. Self-Awareness is the ability to understand how emotions affect yourself and other people. You must be willing to identify your current emotional state to be self-aware so self-assessment is the key here. The market can provide a very humbling experience if you let your emotions take over. No investor is immune to periodic losses or underperformance, so it’s best to keep a level head and never get too high or too low about your own abilities. Self-aware investors know it’s a mistake to get too overconfident after a string of gains just like it makes no sense to take losses personally. Self-Regulation is the ability to control impulsive decisions. It’s thinking before you act. Impulsive moves in a portfolio rarely end well because you are allowing emotions to guide your actions. Most often the moves that feel right are the wrongs ones. Successful investing can be very counterintuitive and requires the ability to go against your own natural instincts. Since we humans have a limited amount of willpower, the best forms of self-regulation come from having a repeatable process. Motivation is having a passion for what you do along with a curiosity for learning. The crazy thing about the financial markets is that eventually you start to realize the more you learn, the less you really know and understand. If you’re in it for the long haul, learning has to be a continuous process. It really never stops. If you don’t have a genuine interest in the markets you’ll never make it on your own. Empathy is the ability to understand the emotional make-up of other people. It’s not enough to understand your own psychological tendencies. You also have to comprehend how the psychology of the crowd works. It doesn’t matter how rational you are in your approach, if you don’t appreciate how silly the market can get from time to time, you’ll eventually crack. The boom and bust cycle is never going away, so a solid grasp of the way that fear and greed that can envelop the entire market is essential. Social Skills come from building relationships and networking with others. This one is probably more important for the leaders of investment organizations and those that work directly with clients, but having a network to bounce ideas off of and get alternative viewpoints can make you a better investor. In fact, you should actively seek opinions that differ from your own on a regular basis. Seeing both sides of any trade or investment helps to keep your views grounded. This puts a focus on risk control and allows you to think in terms of probabilities instead of certainties. Investors are always searching for ways to develop an edge and improve their performance. Very few people can use their raw intellect to outsmart everyone else, especially in an arena like the financial markets that are so competitive. Intellect is likely not where your edge is going to be as an investor. No two market or economic environments are ever the same. The best way to adapt to the changing nature of the financial markets is to develop your emotional intelligence and focus only on those areas of portfolio management that are within your control.